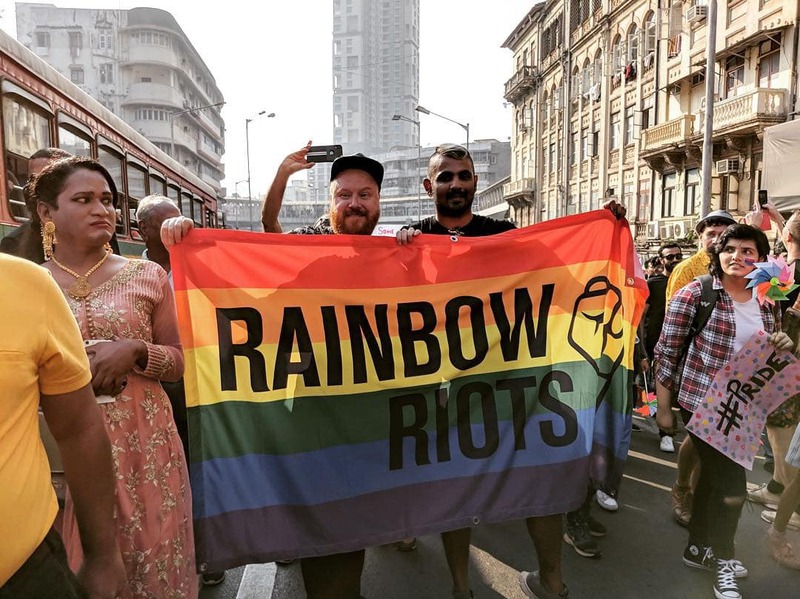 Rainbow Riots || Rainbow Riots is a politically and religiously independent, non-profit organisation advocating for human rights for LGBTQ people | Speaker at India’s first legal Pride! Speaker at India’s first legal Pride! 05 Feb Speaker at India’s first legal Pride! Last Saturday, India’s first legal Pride parade was held in Bombay. What a landmark! India has the world’s 2nd biggest population. Imagine how much that means to millions of people. Rainbow Riots’ founder Petter Wallenberg was invited to speak at the event, in front of thousands. This was the first Pride where indian LGBT people were free citizens and not criminals. There were at least 22 000 people out in the streets. This is a new dawn of equality for everyone in India!